Oswald arrested, modified fnord Discordian Archives. On or before October 26, 2017, a slew of previously unreleased JFK assassination files are scheduled to hit the streets after being buried away in some Deep State dungeon all these years, part of the Assassination Records Collection Act of 1992, identified as “Volume 5,” corresponding—of course—to the Discordian Law of Fives, Hail Eris! From what I understand, the only thing that could potentially derail this roll-out is President Trump who has the final say—yea or nay—although there’s no indication he’s considering putting the skids on any of this—assuming of course his handlers in the Kremlin are on board and there’s nothing in the files that could potentially cast Mother Russia in a negative light. From what I’ve been able to piece together, some of these files concern Lee Oswald’s trip to Mexico City in late September 1963, when Oswald—or an Oswald double, or someone going by the name of Oswald, or maybe a rabbit named Oswald—paid a visit to the Soviet and Cuban consulates there. In things JFK assassination-related, all roads inevitably lead to Discordianism… and Kerry Thornley. (Maybe.) 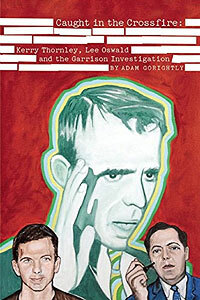 The gist of Jim Garrison’s conspiratorial claims concerning Thornley were to the effect that he was one of the notorious Oswald doubles, and that he (Kerry) met up with his old Marine Corps pal Oswald in Mexico City—and then later in the French Quarter—all part of some diabolical plot designed to frame Oswald as a commie red. Among the “evidence” Garrison presented to bolster his theory re: Thornley-meeting-Oswald-in-Mexico included a postcard Kerry sent to a French Quarter poet pal named Phil Boatright. Of course, Kerry never denied traveling to Mexico City in early August ‘63, all of which occurred during the same general time frame he traveled from New Orleans to California and then back again to New Orleans during the summer of that year. Postcard from Kerry Thornley to Phil Boatright, August 1963. On the way to California, the Greyhound bus carrying Thornley cross country made a piss stop in Texas which led Garrison to conclude that Kerry was the dastardly dude who faked the funky photo of Oswald standing in the courtyard of his Dallas apartment holding the deadly Mannlicher-Carcano rifle in one hand and some dirty commie literature in the other. The most curious document I’ve come across regarding this alleged Oswald-Thornley-Mexico meet-up is one I’ve never actually seen addressed by other researchers—pro or con—which I post below for you to wrap your heads around. In 1959, Oswald and Thornley served together at El Toro Marine Base in California, although without going all Wikipedia on you, I don’t recall Oswald ever returning to California after his Marine Corps stint (and subsequent 23 skidoo to Moscow). This memo was received by the Dallas FBI and forwarded to J. Edgar Hoover and then on to the New Orleans FBI Field Office and afterwards was evidently reviewed by the Warren Commission, or at least that’s my working assumption based on a collection of documents bundled together in the Harold Weisberg Archives, which appear to be related to Thornley’s Warren Commission testimony. The first document in this six page bundle is an internal FBI memo stating that Special Agent Richard K. Harrison conducted an investigation of the Murdock Memo. Although Special Agent Anderson lays out some pretty specific info ala Detective Murdock—including the misidentification of Kerry as Larry—there’s no indication that any of these allegations were ever confirmed, or to what extent they were followed up on by the Feds. The phrase “Old Mexico” seems a bit out of left field; “Old Mexico,” in some instances, is used as a colloquial term for the former portion of Mexico now incorporated into Southern California, the same geographic area where Thornley and Oswald served together in the Marines, so it all might have been a matter of conflation: Murdock heard something secondhand and then connected it to some other secondhand info and what we’re left with is another among the many confounding head scratchers you’ll discover in the always entertaining Garrison investigation files. Also, the dates don’t match up from one memo to the other, whatever that suggests. The original Murdock Memo sent out was supposedly on November 25 whereas Special Agent Anderson stated it was composed on November 23, which is not unusual for raw intelligence—not getting names straight or dates exactly right—although it demonstrates the hurried nature of such memos dashed off in the assassination’s aftermath when the wounds were raw and the facts and fictions flying fast and furious across the newswires, teletype machines, and TV screens. Following the assassination, the FBI and Secret Service questioned Thornley and he was on their radar for awhile—or at least Thornley suspected they were tailing him around New Orleans—and one would think they’d have look into this Murdock Memo matter and put it to rest. Whatever the case, the memo appears legit, although I wouldn’t have put it past Harold Weisberg to have had a hand in some sort of fuckery of this type (creating a fake document) given his past involvement in the touched up Thornley photo caper. Besides Weisberg, there were a handful of other Grassy Knoll Irregulars (as the press referred to them) who were tracking the wicked Thornley scent, among them Mark Lane and his comedic cohort Mort Sahl who took a break from his stand-up career to patriotically dedicated himself to Garrison’s freewheeling funfest. Among Thornley’s voluminous writings, he briefly mentioned encountering Sahl when he went in for questioning one day to Garrison’s office. Sahl—upon the first sight of Thornley—turned a ghostly shade of pale and quickly exited the room like he’d just caught a glimpse of the Grim Reaper himself, convinced—as Sahl apparently was—that Thornley was some sort of evil CIA assassin up to no darn good. Mild mannered crime fighter Mort Sahl with Batgirl in disguise. After JFK’s assassination—on November 25, 1963—FBI agents informed Mrs. Farrington that the squirrelly guy asking about guns in the Mexican Consulate was none other than Lee Harvey Oswald, JFK’s alleged assassin. In this regard, the Lane/Sahl memo suggests that FBI agents pressured Mrs. Farrington to confirm that this gun enthusiast was indeed our boy Lee. The Lane/Sahl tag team interview of Mrs. Fenella Farrington. The famous doctored photo of evil agent Thornley. Was this supposed Thornley photo (mentioned above) the same one that Harold Weisberg had doctored (shown to the right) to make Thornley more resemble Oswald? Just about the time I thought I’d wrapped up this hot mess, another story came across the Internet wires claiming that there may be some Oswald related files missing from the soon to be released (maybe) JFK Assassination Volume 5. 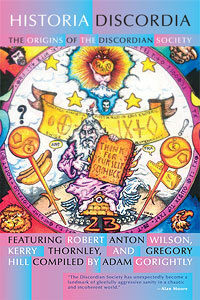 This entry was posted in discordianism, jfk, jim garrison, kerry thornley, lee harvey oswald, warren commission. Bookmark the permalink.